Hi all! I temporarily don't have a workshop as some family members are living with us, so we had to make room for them. I'm still alive and trying to make some time for the hobby but other things are taking up the main stage. I am however writing a book about radio controlled stuff in the time being since I can't use any tooling. 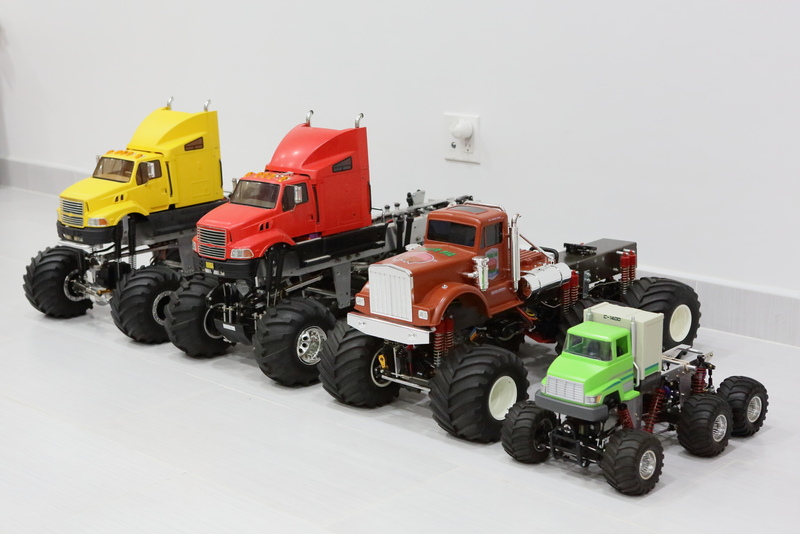 This was a picture taken a few months ago, but it's a family portrait of my completed six wheel drive project. From left to right - Tiamat, Mammoet, Power Pig, and Pickle Time. Very nice! I never get tired of seeing these. Very cool, especially the first two yellow & red rigs. I really like the looks of those.